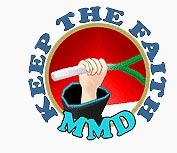 MMD: IT’S ALL ABOUT THE MUSIC!! Vocaloids are banned in some schools in Japan! There was an interesting article that I recently read that reported that Miku Hatsune and other vocaloids are actually banned from some schools in Japan. Which, if you think about it, since Japan is the home of the vocaloids, is very strange. All vocaloids are Japanese; to the best of my knowledge, there never has been a non-Japanese vocaloid. Simply, they are uniquely a Japanese phenomenon. So the fact that they are banned from some Japanese schools is really interesting, especially since, if you think about it, what harm can they do? Well as it turned out the reason why they were banned was that some of the teaching staff found their voice quality “annoying”. They sounded too mechanical; so as far as some of the faculty members were concerned, it was just “noize”. In Japanese schools, during lunch breaks, the students are allowed to choose music to be played over the school’s PA system. This is usually organized by the Student Council and so some of the glimpses we get of Japanese school life in anime is actually true. But Japanese student vocaloid fans take their “music” seriously, so they took their case to the court of public opinion – that would be the Internet and the influential forums like 4Chan. It seems that they have had some success as some school administrations have backed down and some are “reviewing” the decision on banning the vocaloids. Miku and friends were definitely not simply going to go down without a good fight! The music of our generations. But that does not eliminate those genres of music that I personally dislike as having no validity. For example, Rap music, which I really do not like, has a contextual social meaning to those who listen to it. The lyrics resonate with their life experiences. For me as for everyone else on the planet, we all tend to listen to and enjoy music that resonates with our “souls” and life situations. So in this light, let’s have another look at the vocaloids as in some ways, they really are unique and of especial interest to those of us who are also interested in MMD. After all, if it wasn’t for a specific vocaloid, namely Miku Hatsune, there would be no MMD. Vocaloids are music synthesizer programs which uses as its basis a voice bank that is derived from the voice of a real human. Music synthesizers are not new in music making. They have been around since at least the 1970s. Modern ones can accurately replicate the full sound range that can be produced on almost any known instrument. But this system doesn’t work when trying to replicate a singing voice. For that to happen, a music synthesizer requires additional resources. Specifically, a voice bank which is a dataset, provided, by a human singer, which includes all the sounds which can normally be sung. 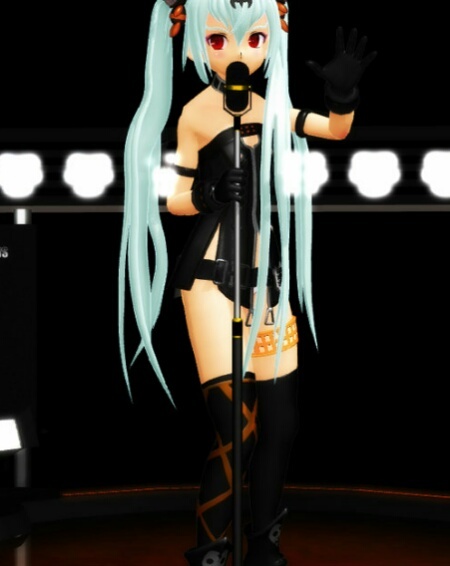 The vocaloid synthesizer can then be used to reassemble the data in the voice bank into words that are sung. there are no vocaloids specifically designed to sing in English. Simply this maybe because they simply sound bad singing in English, but this isn’t so when they’re singing in Japanese. Regardless, modern vocaloid synthesizers can sound very human like singing in Japanese. Especially, IA and her sister, One (pronounced “o-nee”). Both of these synthesizer software are capable of producing very human sounding Japanese voice renders when properly implemented. Here’s a good example of what they can do. Let me qualify the expression “human sounding”. Vocaloids don’t for the moment, sound like humans singing. They imitate human singing but there’s always a quality about their voice that sounds mechanical. You can hear this same quality anytime you call an automated call system and its inherent in the voice quality of Amazon’s Alexa and the Google Assistant. This, in my way of thinking, is a good thing and personally, I hope it will never change. So to further this discussion let’s examine vocaloid music as a musical genre in it’s own right. Vocaloid music as a music genre. Probably the first song that made it possible for Japanese musicians to accept vocaloids was a rendition of Aimo by the vocaloid Meiko. The version below, however, was produced later using Gumi. But, let us hear Gumi sing that again but using instead the voice of the Japanese voice actress that originally provided her voice bank: Megumi Nakajima. The difference should be as apparent as day and light. The problem lies in the lack of “soul”. But then the thinking seemed to have changed from having vocaloids mimic humans to having them be themselves. This process was definitely aided by MMD because it allowed them to be not just heard but seen as well. Being themselves, singing songs about themselves. Since vocaloid character characteristics are fan created it becomes very easy for people to become emphatic with them and relate to their situation. Despite obvious differences, vocaloids “life” situations have parallels that we can easily relate with. So here’s a classic example of this type of song as performed by Rin. There are now thousands of songs written specifically to be sung by vocaloids. Many are of excellent quality with strong social messages or deep meaning; many others have a much lighter and fun note. In Japan, even though vocaloid music is still a niche interest, it is taken seriously. Even some human singers have done cover versions of songs originally written to be sung by vocaloids. So in this light let’s have another listen to what Gumi can really do. The following song was written for Gumi, performed by Gumi and is all about Gumi’s love life. As a performance, personally I think it works and serves as a good example of this genre of music at it’s finest. Some advice on using music with vocaloids and you do not understand Japanese. There’s nothing stopping anyone from enjoying vocaloids music written in Japanese, even if, like me, you do not speak Japanese. For MMD use, there are plenty of motions developed by native speakers for Japanese language performances. If you are using a motion for a Japanese language performance, it is highly advised that you get your hands on a translated version of the lyrics so that you can fully understand the meaning of the performance. This greatly aids you when you create your videos. Apart from anything else, it helps with correct model selections, costume choices and staging. Some advice on using vocaloid performers in projects in your own native language. However, for those of you that like to develop your own performance motions there is a cautionary note. First, only use music sung in a language over which you have full command. I learned that lesson the hard way. When you are developing motions, the nuances of the movements need to match the conceptual notions being conveyed by the lyrics. If the motions don’t match the meaning of the lyrics, the performance won’t make sense. In actual fact, developing a motion to complement lyrics to a song even in your own native language can be very challenging. For example, Rin’s movements in some parts of her performance in the example I used above, even though the motion was created by a Japanese motion maker, doesn’t actually make sense. Arguably, this could be a matter of interpretation, but in some of the portions where she’s hopping around and doing pirouettes, this jars with the overall meaning behind the lyrics of the song. It is very hard to get it right, and you won’t always succeed. But when you do, the results are very satisfying. It does take time, patience and a lot of thought to get it right, and honestly, you will get stuck. However, strange as it may sound, the performing model will tell you how to get it right. So listen to her when she talks to you. This is the key to giving her “soul”. Video credits are listed on their home pages. All vocaloids ARE Japanese. No other country produces them. You can check all of this on the Vocaloid wikia who has everything up to date and is continuously corrected.